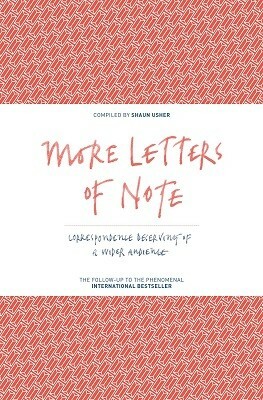 More Letters of Note is another rich and inspiring collection, which reminds us that much of what matters in our lives finds its way into our letters. These letters deliver the same mix of the heartfelt, the historically significant, the tragic, the comic and the unexpected. Discover Richard Burton's farewell note to Elizabeth Taylor, Helen Keller's letter to The New York Symphony Orchestra about 'hearing' their concert through her fingers, the final missives from a doomed Japan Airlines flight in 1985, David Bowie's response to his first piece of fan mail from America and even Albus Dumbledore writing to a reader applying for the position of Defence Against the Dark Arts Professor at Hogwarts. Including letters from: Jane Austen, Richard Burton, Helen Keller, Alan Turing, Albus Dumbledore, Eleanor Roosevelt, Henry James, Sylvia Plath, John Lennon, Gerald Durrell, Janis Joplin, Wolfgang Amadeus Mozart, Janis Joplin, Hunter S. Thompson, C. G. Jung, Katherine Mansfield, Marge Simpson, David Bowie, Dorothy Parker, Buckminster Fuller, Beatrix Potter, Che Guevara, Evelyn Waugh, Charlotte Bronte and many more.